Recreate the King's Landing courtyard in your home with your very own copy of Cersei Lannister's Westeros Map. 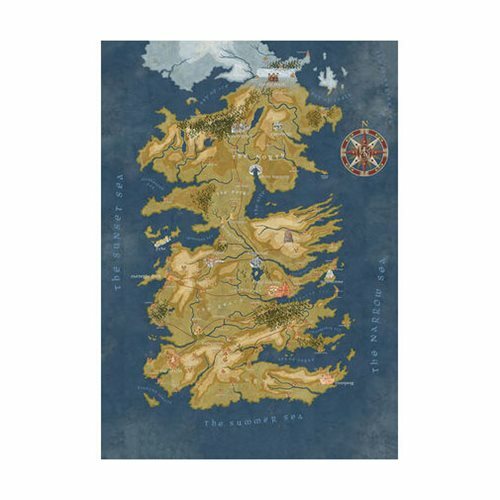 This stunning rendition of Westeros is presented in full color cloth paper, folded and packaged in a poly bag, and measures 50-inches' x 35 1/2-inches' unfolded. Rule your kingdom with flair.